OfficeWork is an office online suite that provides a Document Editor, a Presentation Editor and Spreadsheet Editor where you can perform editing operations like in any desktop editor over documents, excel spreadsheets and powerpoint slides using the formats DOCX, DOC, XLSX, XLS, PPTX, CSV, ODT, or HTML files. - Owncloud app integrated with OnlyOffice Community Edition, which provides all the functionality. 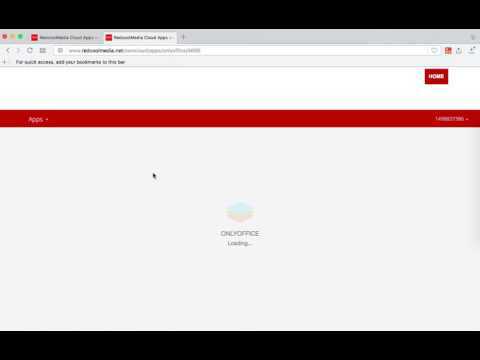 OfficeWork Office Online was added by redcoolmedia in Jul 2017 and the latest update was made in Jul 2017. The list of alternatives was updated Feb 2019 There is a history of all activites on OfficeWork Office Online in our Activity Log. It's possible to update the information on OfficeWork Office Online or report it as discontinued, duplicated or spam. Alternatives to OfficeWork Office Online for Web, Windows, Android, Linux, iPhone and more. Filter by license to discover only free or Open Source alternatives. This list contains a total of 25+ apps similar to OfficeWork Office Online. No reviews yet for OfficeWork Office Online, want to be first? Maybe you want to be the first to submit a comment about OfficeWork Office Online? Just click the button up to your right!